“Terrorist Sympathiser”; “Terrorist” . . . They are all labels; used disparagingly, and frequently, in all areas life. They stigmatise, exclude, polarise, pigeonhole and stereotype. 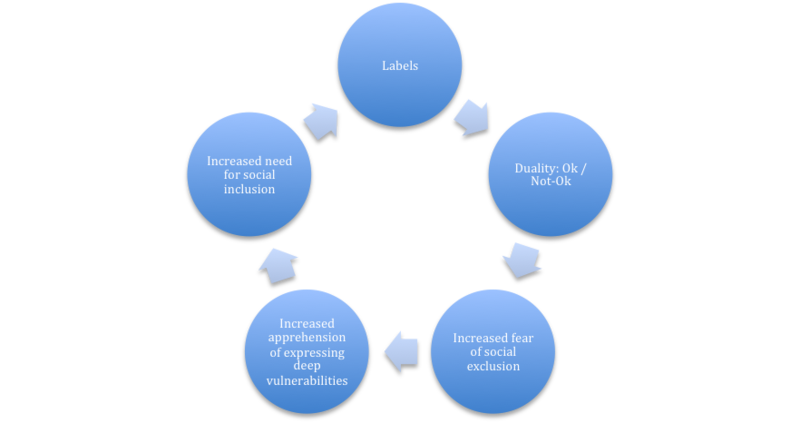 Labels exist, and will continue to exist – how we approach them, however, can change. This is not an article about political correctness, telling you which labels are ‘more acceptable today’, or to stop using them. It’s an invitation to consider: their effects and social drivers, and ways to approach them constructively to minimise reactive power games. We are living through difficult times, and yet, conflict offers an opportunity for greater understanding, connection and change. Recent political tensions in the UK and worldwide about the use, and misuse, of labels and generalisations, provide us with such an opportunity. 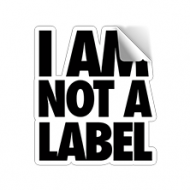 So what can labels teach us and how can we approach them constructively? Labels are everywhere! They are the qualitative and quantitative judgments we make about one another, based on objective and subjective measures. They are dualistic in nature, making us all either: “Ok” or “Not-Ok”. They relate to personal qualities, both positive and negative, to a social role (e.g. “Star player”; “Prodigal son” etc. ), to social diversity and clinical diagnoses. The latter particularly, is used and misused by professionals and laypeople alike. Understanding their effects can help us approach them differently. Change a person’s concept of themselves, their social identity and others’ perception of them. Spread, and stick, through gossip and repetition. Render another as ‘not-ok’ and, consequently, us, as ‘ok’. Create Parent-Child dynamics with peers, as we speak and decide for them. Be used in power games to taunt, discriminate against and victimize. 3/ Polarise and divide: Create ‘us’ vs. ‘them’ alliances – whether socially, in the family, at work or politically. Disregard the person’s feelings, and shared human needs for: safety, belonging and respect. Stop discernment by assuming hearsay to be ‘fact’ and past behaviour to be current. Such assumptions result in repetitive dynamics and patterns. Positive or negative labels can result in self-sabotage, or perfectionism, to fulfill a role. Both often lead to resentment and blame. So what drives our labelling? As social beings most of us seek inclusion and varying degrees of external approval. Because norms make social exclusion a reality and potential threat, self-esteem and comparison drive many of our social relations and often give rise to competition. Therefore, consciously or otherwise, labels that are disparaging, stigmatising and excluding, can boost self-esteem and strengthen a sense of belonging. In fact, having a common scapegoat also forms many social and workplace groups. So labelling others can suppress, or momentarily lull, any sense of social inadequacy, self-criticism and potential social exclusion. 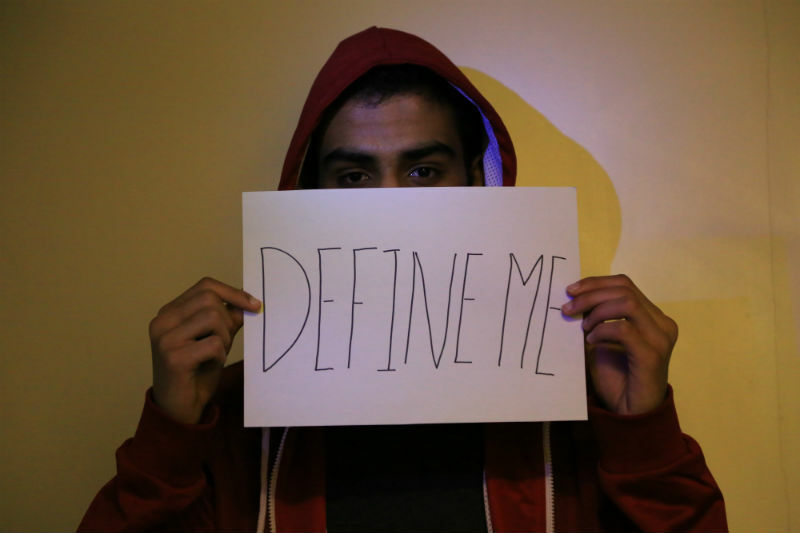 Disparaging labels reinforce a duality of inclusion and exclusion. This can accentuate a wavering self-esteem, which leads to comparison, the covering-up of deep vulnerabilities and more labelling to increase our sense of ‘Ok-ness’. This cycle affects conscious communication and reduces tolerance and compassion for self and others. It also makes labels the hot potatoes we throw around, also at ourselves, or seek to avoid. So how can we approach labels differently? As opposed to: “You are a bully / mean” or even: “You’re behaving like a “*%^@! Changing the focus removes the judgment, label and accusation. We also take responsibility for our feelings and reaction. Separate impact from intent: Something can affect us negatively, without necessarily having been intended to. Exploring their intention rather than labelling them, can increase understanding and connection. Discern between projection and reality: Am I relating to this person based on how I see of them right now; or based on old labels, stereotypes and generalisations? Be courageous! Explore & express your feelings, needs, assumptions and personal fears that may be triggering your labelling and reaction. Labels limit understanding; they reduce a whole person to one word or phrase and eclipse the human being behind it. Many labels are often used without knowledge of what they actually mean, or why we are using them in that moment. Understanding what’s behind them can potentially make us more curious about their use, and increase mutual inclusion, understanding and compassion.